RFF director, Lee Wasserman, and RFF president, David Kaiser, co-wrote an op-ed article featured in the New York Times in response to lobbyists and former Senators Trent Lott and John Breaux’s plan for a federal tax on carbon dioxide emissions. While their plan includes an initial tax of $40 on every ton of carbon dioxide emissions, the primary purpose of the plan is to give fossil fuel companies immunity from lawsuits seeking to hold them accountable for climate-change related damages—which could total trillions of dollars. To date, 14 municipalities and one state have filed damage claims against fossil fuel companies for knowingly producing a product that would cause “catastrophic” consequences. 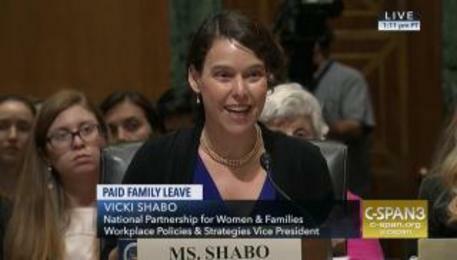 On July 11, 2018, the Senate Finance Subcommittee on Social Security, Pensions, and Family Policy held a hearing on paid family and medical leave called “Examining the Importance of Paid Family Leave for American Working Families.” Vicki Shabo, the Vice President for Workplace Policies and Strategies at the National Partnership for Women and Families, testified alongside Dr. Andrew Biggs of the American Enterprise Institute and Carolyn O’Boyle of Deloitte. RFF is proud to be a long-time partner of the National Partnership for Women and Families and echoes Vicki Shabo’s call for a strong, inclusive, national standard of paid family and medical leave. David Bookbinder of the Niskanen Center, an RFF grantee, and Robert McNamara of the Institute of Justice recently published an op-ed on the use and abuse of eminent domain for pipeline development in the Wall Street Journal. McNamara and Bookbinder explain how the Federal Energy Regulatory Commission (FERC) has not allowed for proper judicial review for property owners whose land is taken for FERC-authorized pipelines. Earlier this month a federal judge ordered Texas counties to pause a planned voter purge that would have removed tens of thousands registered voters from the rolls. The Campaign Legal Center (CLC) represents the League of United Latin Americans Citizens (LULAC) and Julie Hilberg in the case alleging that the purge program amounted to racially motivated voter intimidation and therefore violated the Voting Rights Act and the U.S. Constitution. The We Believe You Fund (WBYF) released its report analyzing corporations’ policies and practices around workplace sexual harassment and assault. Among its recommendations, the WBYF, a RFF-grantee, called on companies to terminate the use of NDAs and to implement and enforce baseline sexual harassment policies. A federal district court in Boston rejected Exxon’s motion to dismiss a case brought by RFF grantee, the Conservation Law Foundation (CLF). 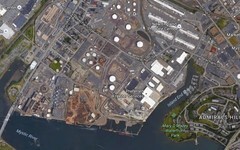 The case concerns Exxon’s failure to safeguard a storage facility on the Mystic River in a low-income neighborhood. CLF claims the company violated the Clean Water Act and Resource Conservation and Recovery Act by not accounting for potential toxic inundation caused by climate-induced rising sea-levels.